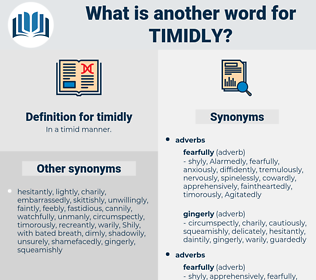 What is another word for timidly? 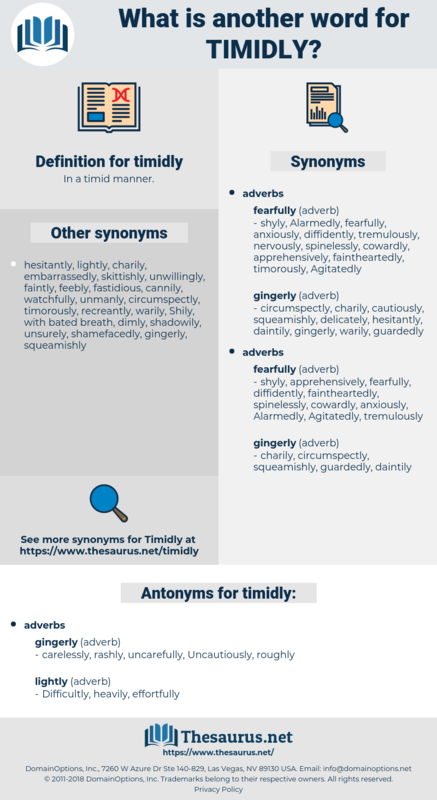 carelessly, rashly, uncarefully, Uncautiously, roughly. Marcella timidly opened the sitting - room door.